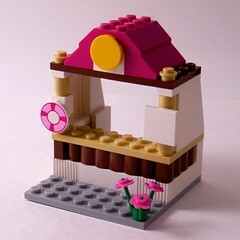 Having dispensed with the smaller sets we now tackle the medium-sized ones, starting with LEGO Friends Heartlake Flying Club #3063 . This is the first one in this series that comes in numbered bags. First we build the airplane, which is a really sweet design, very swooshable. It uses the new style handlebars first seen in Stephanie’s Pet Patrol, which are similar to the ones minifigs have been griping for years but with the ends upturned for minidoll compatibility. 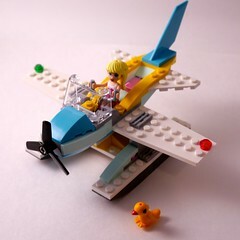 Here it works really well as the yoke of an airplane, flown by … Stephanie! The color scheme of the plane, with white wings and an aqua and dark aqua body, is really nice and I’m looking forward to the day when I have enough of these colors to do more MOCs with. 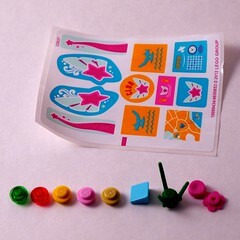 This set comes with no fewer than six 1×4 curved slopes in light aqua, which is sure to be good for something. 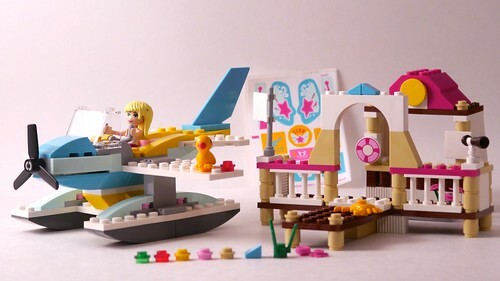 In addition to the plane we also get a cute yellow duckie, a dock with a cute crab and a fairly basic parts assortment, and the clubhouse for the flying club with life ring and some signs (stickers, sadly). 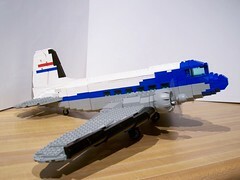 Since you build the plane first, it’s kind of a gradual process in disappointment – the plane has a lot of cool parts and is really swooshable, but the rest of the set is pretty forgettable in terms of parts or building techniques. Why bring this up now? 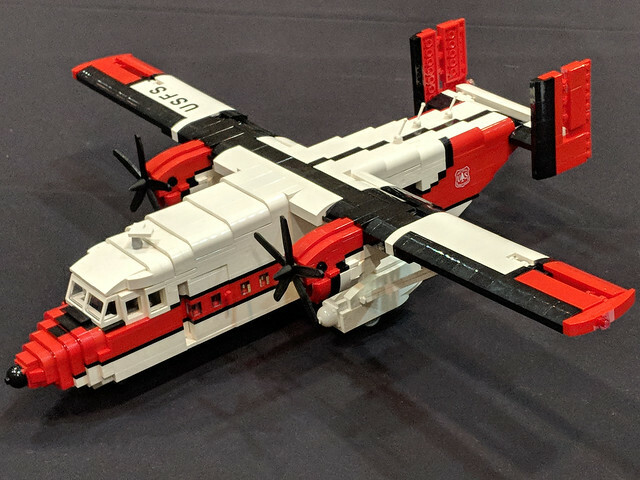 I just recently saw the review on Eurobricks that was posted recently. I think this set stands up pretty well today. 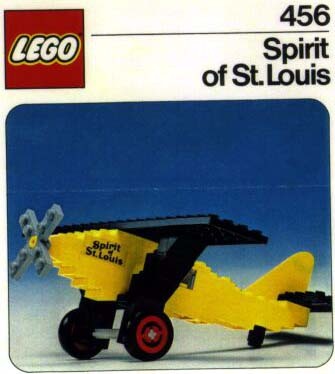 Though the color scheme is bogus, as was often the case with LEGO sets from that era, the proportions are about right and it’s quite swooshable. 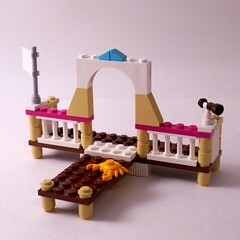 It doesn’t use the fancy curvy pieces that modern sets have, but it doesn’t really need them.